The Medieval Bonnet is the perfect accessory for a great variety of historical looks. 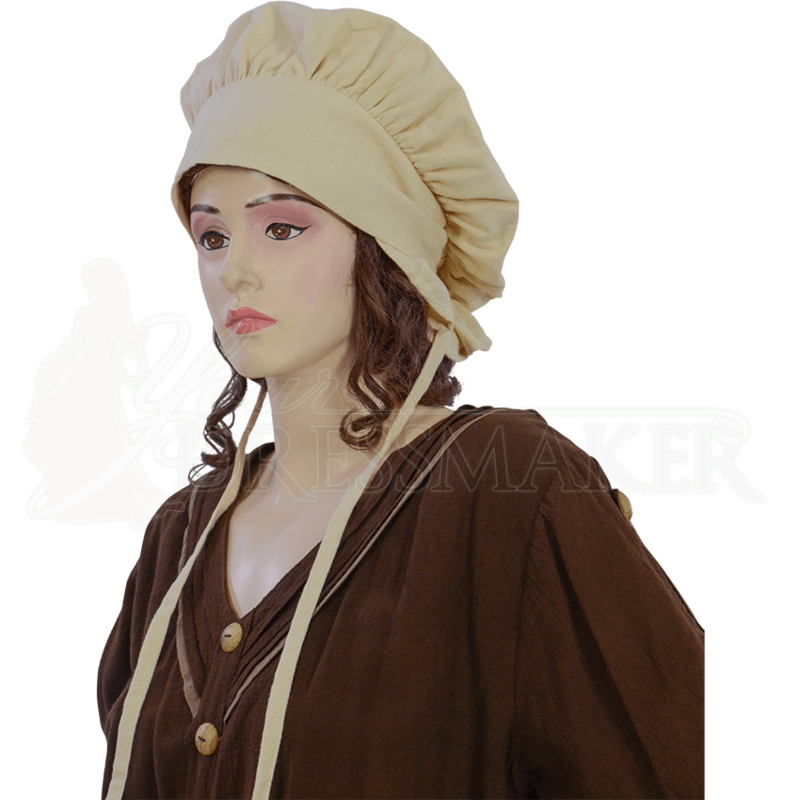 Made of a natural, medium weight cotton, this womens medieval hat is available in a variety of colors to suit your style and match your outfit. The roomy crown of this cotton peasant bonnet is gathered at a wide front band, and long, matching fabric ties secure the hat in place. Great for townsfolk, shop keepers, medieval maidens, and more, this versatile cotton bonnet lends a charming touch of detail to historical ensembles.